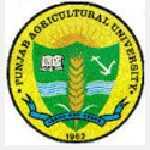 PAU Multitasking Assistant recruitment 2016-17 notification apply online : Punjab Agriculture University (PAU) welcomes application for the position of Multi-Tasking assistant vacancies. Candidates who completed their BCA, MCA, M.Sc. degree, diploma is a good opportunity.The individuals who are the occupation seekers searching for govt employments in Punjab this is the best chance to apply. Competitors read the official notification then read all the guidelines and miners precisely then apply before the last date online application got. All the interested and eligible candidates can apply before 29th July 2016. Candidates Age Limit: The age of the candidate should not be less than 18 years and should not be more than 37 years. Academic qualification details: Candidates should have BCA / MCA / M.Sc. (IT) with two year experience OR should have bachelor degree in any stream with at least one year diploma in information and Technology with five year experience / PGDCA from recognized institution with five year experience. Process of selection for the job: The selection of the candidates shall be required to qualify the type test in Punjabi and English on computer with a speed of 30 words per minute. The applicant who passed both the type test will be eligible for the interview. Details of Fee particulars: All the interested and eligible candidates are need to pay application fee Rs 200/- in the favor of comptroller Punjab agriculture university, Ludhiana. Process of applying for the job: Candidates may apply in plain paper along with self – attested copies of certificates and demand draft send to the office of the university on or before 29th July 2016. Important Dates: Last date for the submission of application is 29th July 2016.